Established in 1875, the Oxford Alpine Club is one of the country's oldest mountaineering clubs. Our members span every generation and every corner of the globe, enjoying every genre of climbing from bouldering to big walling. That gives us plenty of experience to fall back on when we need inspiration or advice. As a publisher, the OAC is unique. We are not bound by geographical limits or a corporate image. Our aim goes no further than providing beautiful books that give a climber everything he or she wants in a guide. We are not profit-driven, and would like to see some of the more unusual climbing destinations achieve the popularity that they deserve, through publication of guidebooks that some larger publishing houses may not see sufficient profit in. We recognise the challenges of getting your guidebook published, and realise that different authors want different things. Different climbing areas also require a different style of guide, so we won't push our image ahead of your vision. We can provide a flexible and bespoke service when it comes to getting your work published, from simply looking after your legal deposits to full design and production services or pre-press preparation. So if you and your friends have been developing a new climbing area that you think others should know about, and you want to write the first guidebook to it, then we're there to publish it. Whether it's rock climbing, ice climbing, mountaineering or hill-walking... get in touch and see how we can help. For current advertising rates, or to discuss requirements, please contact us by email at advertising@oxfordalpineclub.co.uk. We are currently working on a number of guidebooks, and we'll have more advertising space available in the near future. To hear about our advertising opportunities as soon as they become available, please contact us. If you're the kind of person who has a little 'black book' of climbing, have somehow ended up holding the new-route information to an unusual climbing destination, or even just have an interest in writing your own guidebook... then read on. Sharing your work with other climbers can be hard work, and whilst web sites and home-made topos are a good start, you may have enough material to make the beginnings of a new guidebook... Getting that material published can seem like hard work, and most mainstream publishers are reluctant to take the risks on new projects or unknown climbing areas. Self-publishing is a time-consuming and expensive process, but the Oxford Alpine Club can help - we specialise in small run 1st editions to destinations that are perhaps a little 'off the beaten track'. The Oxford Alpine Club are actively looking for guidebook authors, and can provide any level of publishing support from ISBN allocation tocartography, design and pre-press, through to full publishing and distribution packages. We are a small-scale publisher who can provide a unique and bespoke service, and we'd particularly like to hear from you if you've got the makings of a guidebook that perhaps larger publishers don't see sufficient profit in. For mountaineers, every holiday is an adventure. Whether you took part in a Himalayan expedition, an Arctic trek, or an Alpine adventure, the memories of that trip will probably form an important part of your mountaineering life. If you've got a story to tell, even if it's only a record for the grandchildren, we can help our members to create a beautiful, permanent and professional record in the form of unique or short-run books.Professionally printed, full-colour books can tell the story of major expeditions or climbing trips in a way that photo-albums never will, and as an OAC member you can take full advantage of OAC Publishing to preserve those memories forever. We are also able to publish single copies of diaries and memoirs, providing a beautiful and lasting record of your mountaineering memories. The OAC are able to provide design, printing, and cartography work to expeditions involved in exploration or mapping. 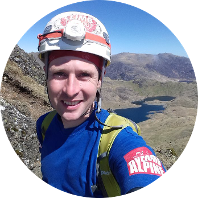 Since his first taste of hill-walking at the age of 7, Steve has enjoyed all aspects of climbing, from bouldering and rock climbing to ice climbing and big-wall aid routes. He has climbed extensively across the world, including over 800 first ascents of summer and winter routes in Scotland, the Himalaya and Morocco. He is an active life-member of the Oxford University Mountaineering Club and co-founder of OAC Publishing. Along with his wife and former Club President, Katja, he has spent considerable amounts of time in Morocco, developing previously unexplored regions of the Anti-Atlas mountains and writing the first guidebook to the north side of the Jebel el Kest Massif, which was published by the OAC in 2010. 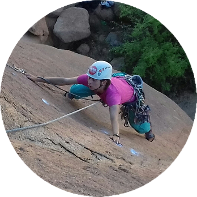 Katja took up climbing at University in 1998, and since then has climbed all over the world, enjoying sunny sport-climbing, Himalayan expeditions... and everything in between. She had her first taste of exploratory new-routing after just two years of climbing, and has now pioneered routes in Scotland, the Himalaya and Morocco. Not afraid to carry big packs to unforgiving places, highlights of Katja's climbing career thus far include a totally unsupported climb to 6000m in the Himachel Pradesh, a winter ascent of the West Face of Leaning Tower in Yosemite, and completing 66 mountain pitches in a single day in North Wales. Katja is a former President of both the Oxford University Mountaineering Club and the Oxford Alpine Club, and a previous trustee of the A.C.Irvine Travel Fund. 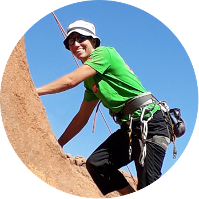 Lina joined the Oxford Mountaineering community in 2012 and has since climbed extensively throughout the UK, Europe, and Morocco, including numerous first ascents around the Anti-Atlas mountains and Tafraout. Although usually found on bold, traditional rock climbs, she has also enjoyed several winter climbing seasons with ascents of ice routes in Scotland, Europe, and the Atlas Mountains. Lina is a former editor of the Oxford Mountaineering Journal and now works in our design team. Sally came to Oxford to study a Masters in publishing at Brookes University, following a previous career as a logistics officer in the Army. 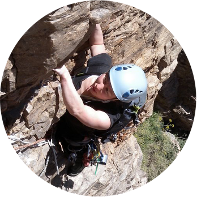 She joined OUMC in 2008 with a significant climbing and mountaineering background, including extensive Scottish winter experience and seasons in the Alps and Darren Mountains in New Zealand. In 2009 she organised and led an expedition to a previously unexplored region of Kyrgyzstan where she and her team made first ascents of a number of ice routes and unclimbed peaks, receiving coverage in international climbing press. She is an honorary member of the Oxford Alpine Club and co-founder of OAC Publishing. Geoff Hornby has been climbing for over 30 years and has spent much of his life exploring unclimbed mountains, rock faces and frozen waterfalls. His first ascent list of over 500 routes includes unclimbed peaks in Alaska, the Yukon and the Himalaya. 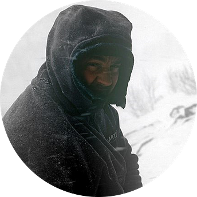 He has been a driving force in the exploration and recording of first ascents through the Western Hajar mountains of Oman and the Setesdal region of Southern Norway. Most years he can be found crossing a desert region of the world on foot and with camels opening up new routes in previously unexplored corners of the ranges. In addition to exploration, he has climbed many of the classic hard routes of the world including the Troll Wall, the Nose on El Capitan, the Diamond Couloir, the Walker Spur and the Matterhorn North face. He splits his time between working for the UN and lecturing in Engineering Safety in the UK.